For nearly twenty years I walked beneath the indescribable orange, yellow, and red colors of deciduous trees in central Missouri as their leaves quaked and billowed to the ground during a most beloved time of year: autumn. I recall the scents and sounds of these dried, crunchy leaves flooding my nose as the wind whisked them along neighborhood streets. Fall was hot apple cider, hand-picking apples and muddy pumpkins; decorating the front porch with dried corn and hay bales; caramel-covered apples and corn mazes; feeling the warmth of the sun through your thick wool sweater as you lay beneath a blue sky and breath in the crisp, dry air. Fall was, in a sense, my childhood. And while my opinion that fall is, in fact, the most wonderful time of year may be biased by these memories, I believe that fall is a special time for all of us. So, Bainbridge Island, let’s keep this fall enchantment alive within ourselves as well as the hearts of our little ones by rejoicing with Friends of the Farms this Sunday, September 27, from 11:00 AM to 5:00 PM. Enjoy the annual Harvest Fair amongst the company of your community on the grounds of centrally-located Johnson Family Farm with a hot cup of fresh-pressed apple cider—hand picked from the trees all around you. With a focus on locally grown, harvested, and cooked foods, Friends of the Farms has arranged a seven-hour event aimed at celebrating farmers and their craft, providing a seminar on local foods as well as farm stands and delicious, local meals. Come with an empty bag—or three—to bring home the farmers’ final summer and fall crop and learn a few autumn recipes or gardening tips from face-to-face chats with local master gardeners. There’s plenty more fun to be had aside from farm-to-table education. Big kids (aka adults) can enter a raffle to win wonderful prizes (like a locally grown turkey, who will be hanging out at the fair! ), plop down on a hay bale with a tasty treat and a local adult beverage from the beer and wine garden, take in the sounds of local music, and watch the pie contest (enter by 11:30 AM) while the little ones enjoy pony rides, face painting, a land slide, hay jumping, and yummy snacks. And yes, I did say “pie contest,” although I don’t mean the eating-copious-amounts-of-pie kind of contest. Rather, Annual Harvest Fair Pie Contest, with categories for both adult and youth, is an opportunity for Pacific Nothwesterners to strut their stuff and submit their famous pie recipes. Being the land of wild berries and apples, it’s no wonder the best pies come out of our ovens. The judging (by professional bakers, sorry everyone else) begins at 1 PM. With shuttles available from the ferry terminal and Bethany Lutheran Church, there’s no reason to miss this family-oriented fall Harvest Festival. With a huge “thank you” to Friends of the Farms, their sponsors, and volunteers, I for one can not wait to taste, smell, and experience this Sunday’s event. We only have a few weeks of this wonderful season to relive our favorite childhood memories and help our children create their own, so clear your schedule for this Sunday, and we’ll see you there! For more info, including an address, directions, and ferry/shuttle info, click here! One of the unique things about Bainbridge Island is that it still exhibits diverse pursuits within the community. 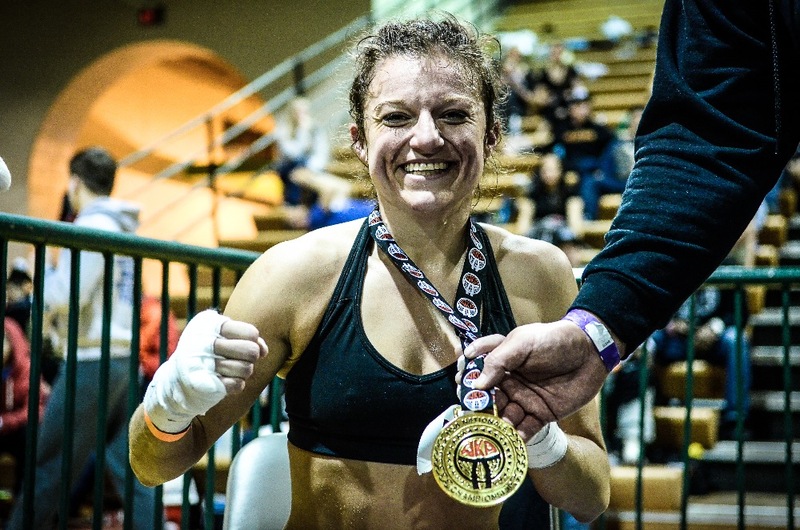 While you may have gotten to know Laura Swanson from her bartending and serving shifts here at the pub, you may not have known that she is a reigning World Kickboxing Association (WKA) National Champion. When she’s not working, she’s committed to a grueling two to three times a DAY training schedule at Bainbridge Boxing. Bainbridge Boxing, currently undefeated and owned by Ben Little (who ironically is XL) opened back in 2010. Before then, Bainbridge hadn’t seen boxing since 1907. Laura isn’t the only champ Ben has trained. Josh Soliva, another fighter from Bainbridge Boxing, the current 145 lb. 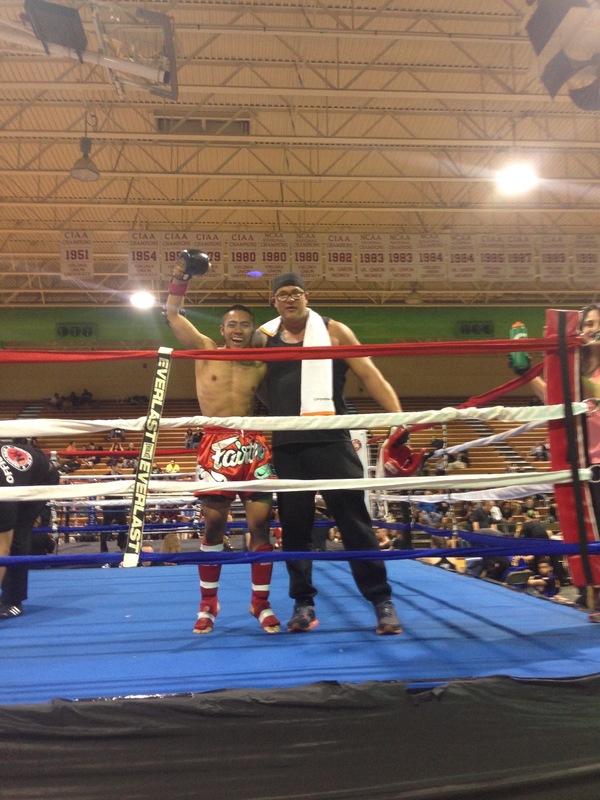 KOA super fight belt holder, is also the National Champion for his weight class. Both Josh and Laura traveled to Richmond, Virginia back in March to compete in the WKA National Championships. Both won spots on the 2015 United States national team for the WKA World Competition. Laura’s first fight was for a Kitsap Humane Society fundraiser at Bainbridge Boxing in 2012. Laura found a perfect fit in competing and decided to take her fighting career to the next level. She started being matched up for more fights and eventually made her way to Nationals to earn her current title as WKA National Champion. Bainbridge Boxing could not have gone to Nationals without the generousity of friends and family. When Josh and Laura won, so did all of their supporters. Getting to the world championships is going to take the same outpouring of support. Many may not know but the boxing club also serves as a home to at-risk youth on the island as well as kids and adults who haven’t found conventional team sports to be fulfilling. Coach Ben keeps the gym running mostly out of his own pocket. If students can’t afford to pay, he has them sweep or mop up after practice. Now the champs humbly ask for your help to send the Bainbridge Boxing Fight Team to win a world championship. The five-day competition will be held in Spain and expenses for the two fighters and their two coaches will add up quickly. The gym needs to raise the money by September in order to pay airfare and other travel expenses for Laura and Josh to compete for world titles and bring the unique distinction of world champions back to the Bainbridge Island community.